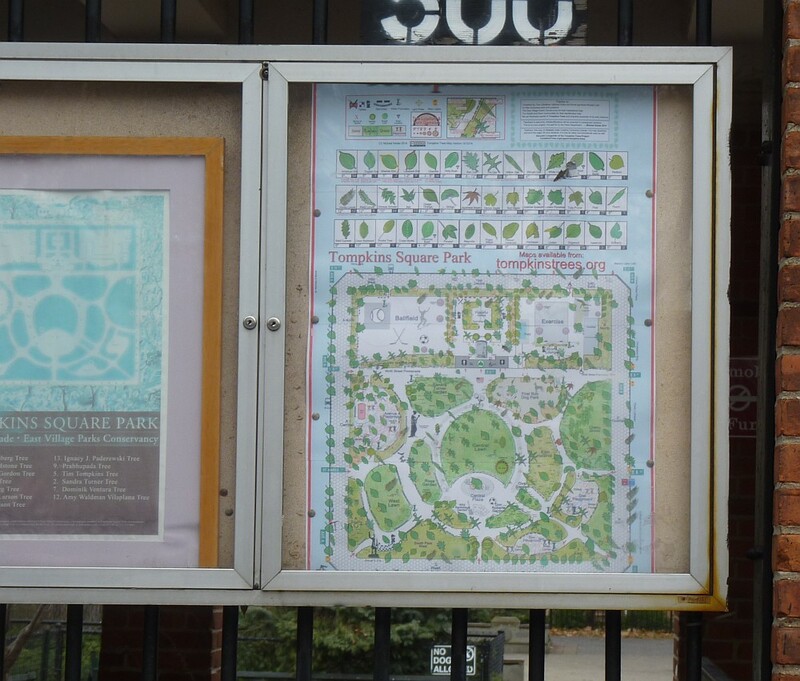 I made a new larger and improved map for the bulletin board in Tompkins Square Park. Your work is beautifully rendered, clearly presented, sublime, and brilliantly designed—it’s surely the most exquisite public-service art. I cannot think of one artist who has created such an intrinsically beautiful and useful art for Tompkins Park in decades. Congratulations! Such diligent, original work!…And clearly the work of Genius, in the most literal use of the word: from an “attendant spirit” and “innate ability” innately sourced—created in communion with the Genius of Trees—a gift to the patrons of New York City’s Tompkins Park.